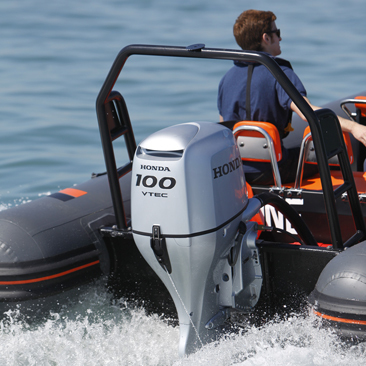 Alongside its little brother, the BF80, the all-new BF100 is packed full of power and ready to rule the water. You want the best? Here it is. 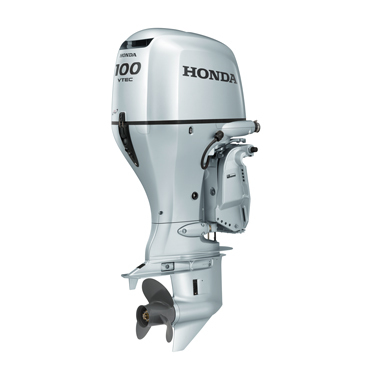 If you want to feel ahead of the crowd (or your mates), the BF100 is packed full of features that will have you bragging about your new outboard for years.Under every iconic Honda silver cowl you'll find BLAST - Honda's advanced ignition timing control system, which significantly improves hole-shot performance.VTEC, which provides more top end power while maintaining optimum fuel economy, is also ready to give you the best possible performance when you're out on the water. That'll show 'em! Along with Honda's Programmed Fuel Injection, the BF100 incorporates lean burn control technology so it optimises the air/fuel mixture to ensure maximum performance out of every drop. It's called ECOmo, and it means you get great fuel economy.Honda's Trolling Control (optional) is another feature that the BF100 offers. 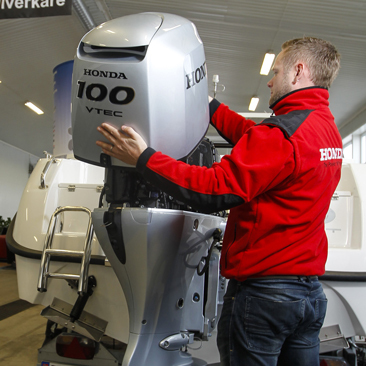 Whether you're fishing for leisure or in competition, you want every advantage available to you, no matter how big.Trolling Control allows you to make fine speed adjustments - by as little as 50rpm between 750-1000rpm. 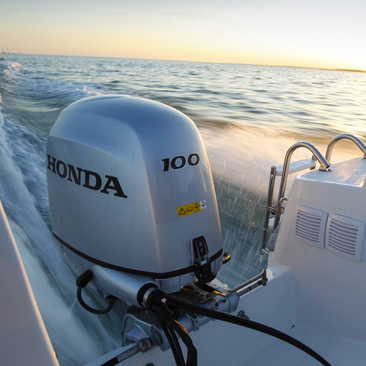 So no matter what the fish are doing, Honda's Trolling Control will help you find them - from there, it's up to you to pull them in!